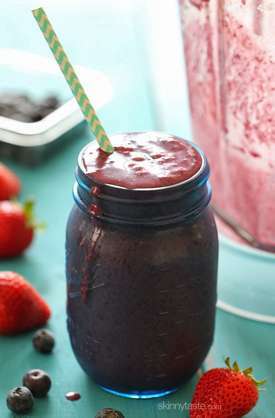 As the temperatures heat up and summer moves in, a cold, refreshing and nourishing smoothie may just be what you’re looking for. 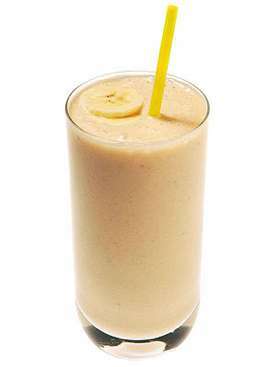 We’ve collected some of our favorite Weight Watchers®-friendly, low calorie smoothies here to share with you. 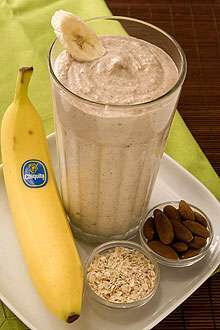 Smoothies are great for breakfast because they can be made in about 5-10 minutes – with minimal clean-up. 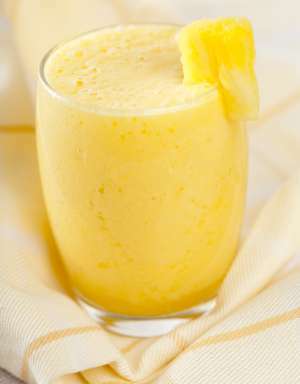 We use a a Vitamix Blender when we make smoothies at home, but use whatever blender (affiliate link) you like best. 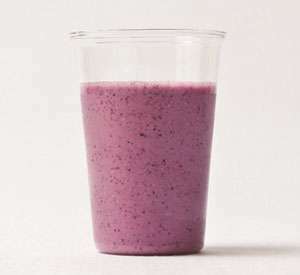 To make your smoothie colder, thicker and more like a milk shake, prep your fruits ahead of time and freeze individual portions in plastic freezer bags. 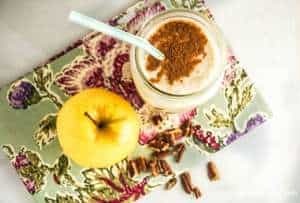 Then you can grab a bag from the freezer, plop it into your blender (affiliate link) with juice, saving you time on busy mornings. 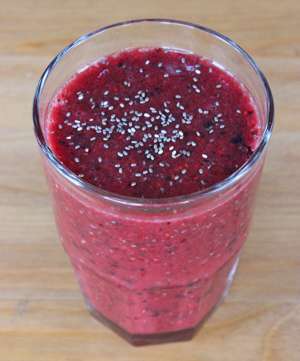 Or, you can prepare your favorite smoothie in the morning, pack it in a thermos and sip it during the day. 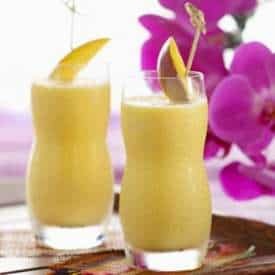 Fruit is usually Zero Points on Weight Watchers, but according to the WW Recipe Builder, the points count for drinks like juices or smoothies. If it’s something you’ll drink, like a juice or smoothie, the nutrition facts for zero SmartPoints value fresh fruits and vegetables count towards the total. If it’s something you’ll eat, like a salsa, sauce, stew, or soup, fresh fruits, and most vegetables, it will remain zero SmartPoints values in those recipes. 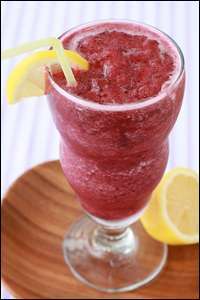 Why do fruits and vegetables have SmartPoints values in smoothies? 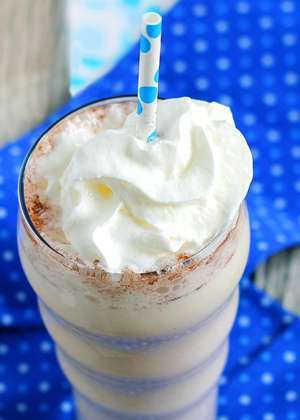 Research shows that liquids don’t promote the same feeling of fullness as solid foods do. When you drink something, it eliminates the act of chewing which may impact the signals between the belly and brain. This means that the smoothie or juice you’re drinking will not promote the same amount of fullness between meals as eating the fruit might. You may want to invest in the Weight Watchers SmartPoints Calculator if you want to be able to calculate SmartPoints values yourself. 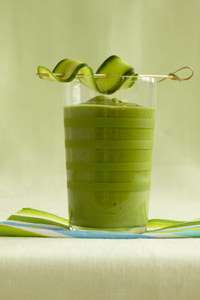 Click the links below each image to see each Weight Watchers smoothie recipe and directions on the original site. 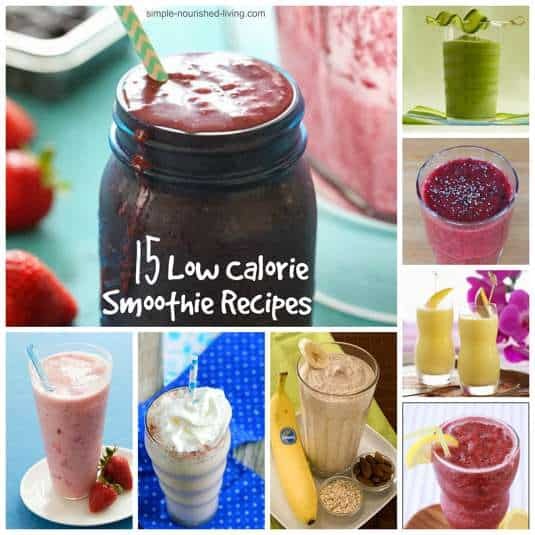 Thanks for sharing these low calorie smoothie recipes. Actually I was searching for low calorie recipes because low calorie food is very good for health and losing weight. 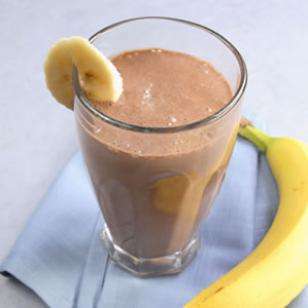 Chocolate Cherry Breakfast Smoothie is looks really very nice. I will definitely try it. 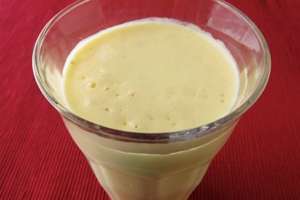 It would be helpful if the recipes listed the point count when calculated as a ‘drink.’ In which case the Mango Lassi comes up as 12 points rather than 3. HUGE difference. 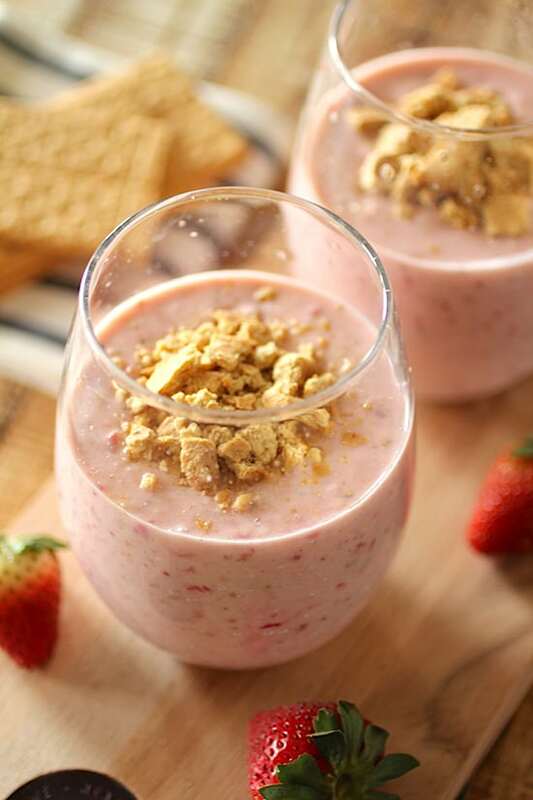 Can you substitute yogurt for milk in any of these smoothie recipes?? Hi Marge, Yes, I’m sure you can. Yogurt will be tangier than milk however. 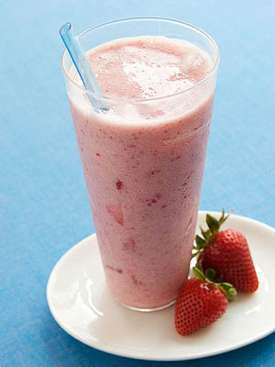 The smoothies look delicious but they are calculated with Points Plus and not Smarr Points.